When The Nut Shoppe first opened in 1982, it was primarily a bulk nut shop; it sold cashews, peanuts, and other nuts. 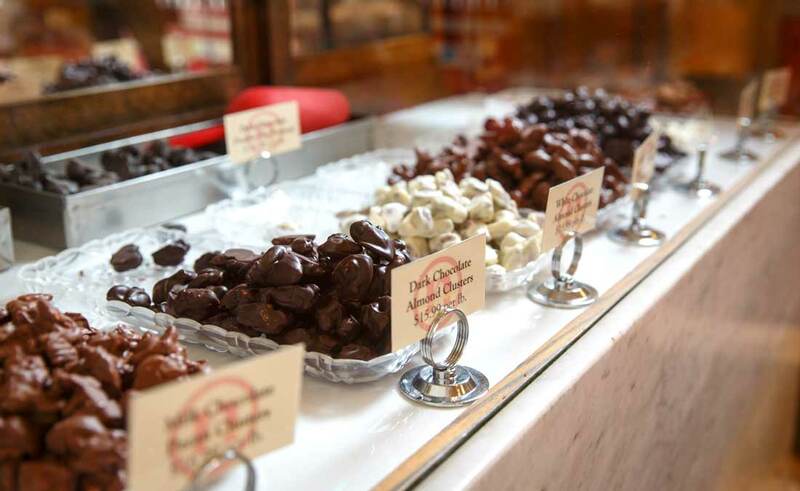 Over the years, chocolate was added as a specialty item — and customers just couldn’t get enough. The store gradually changed its focus from nuts to candy. The name was kept as a nod to the past. Danae, born and raised in Goshen, worked for the previous owner of the shop. She worked throughout high school up until her last year of college. The shop was a vital part of her life. In college, she discovered that the owner wanted to sell the business. Danae knew she had to do something. In order to buy the business, Danae saved money during her final year of college. 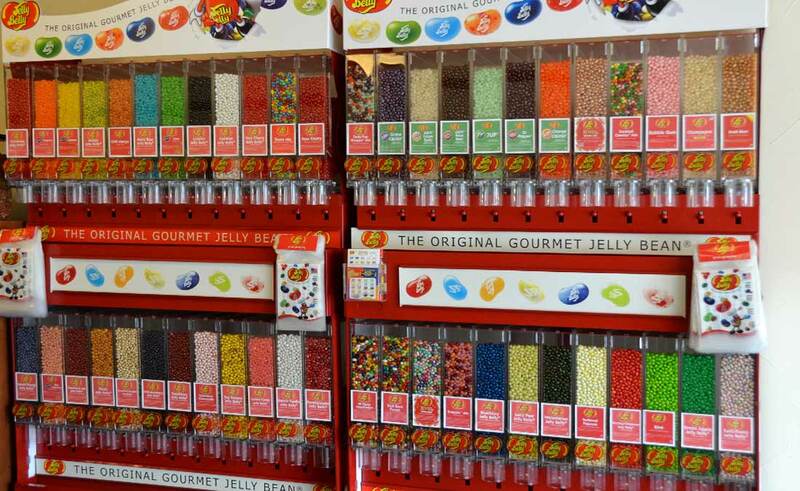 After a few years owning the store, Danae met Justin Bell at a candy convention in Chicago. Their meeting turned out to be sweet coincidence, and they soon married. The Bells live a busy life, but a sweet one. 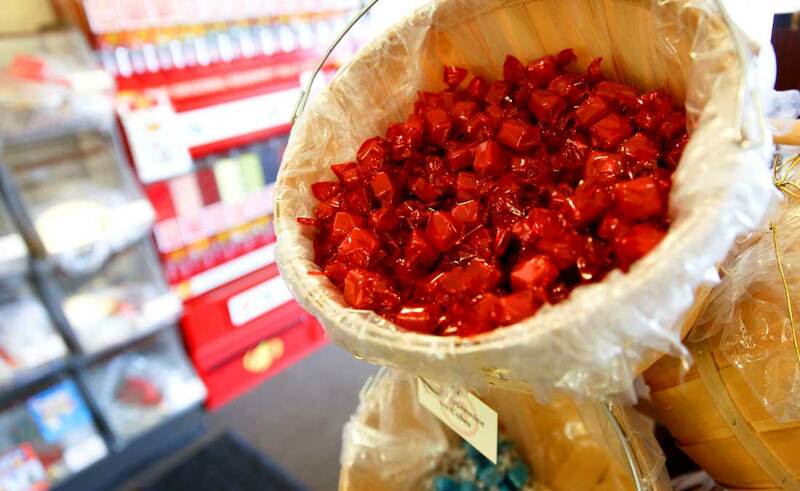 With homemade recipes and a whole lot of love, the Bells and their candy shop stand out as a unique aspect of Goshen. The Nut Shoppe has been an essential part of downtown Goshen for the last 34 years. 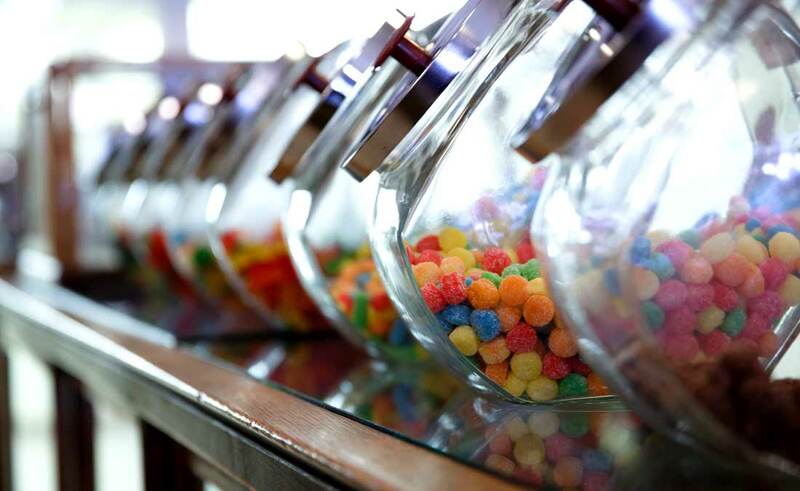 With over 70 different flavors of candies, The Nut Shoppe offers a wide array delectable treats. From tiramisu truffles to dark chocolate toffee, there are sweets for even the pickiest of sweet tooths. 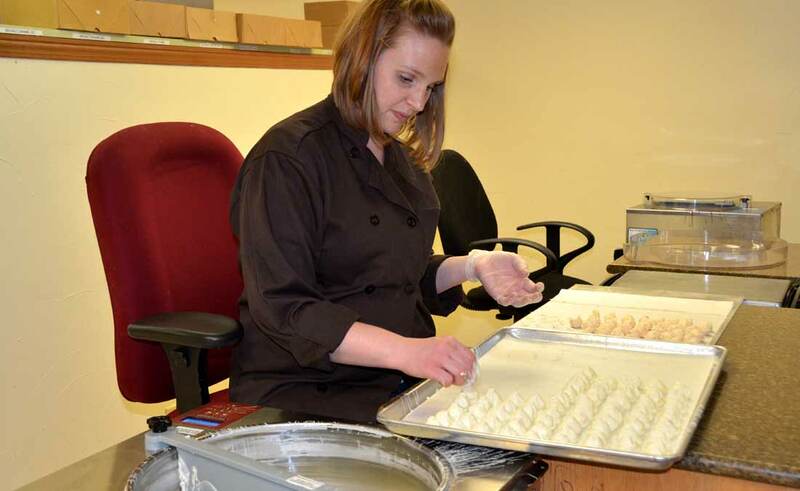 All of their sweets are made from homemade recipes with a heaping amount of teamwork. Justin makes the filling for all the candies while Danae dips them in their outer flavor. 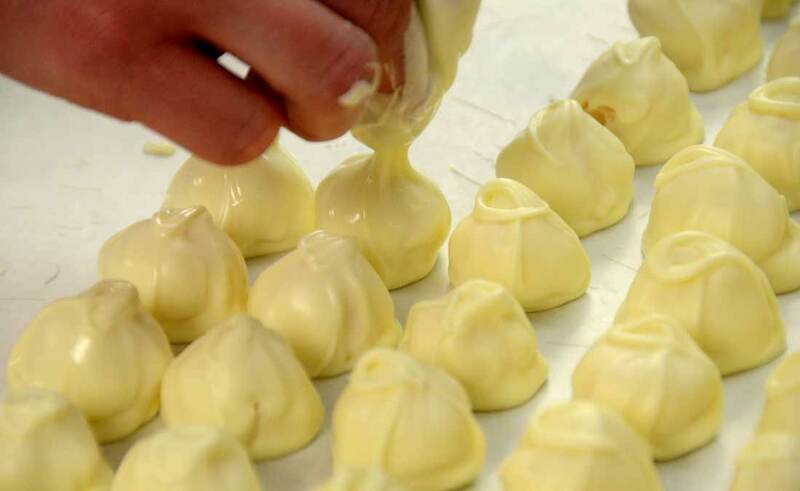 While there is a demand for homemade chocolate, the Bells also face competition with large corporations. The Bells, however, are confident The Nut Shoppe can stand up to big chains. Besides creating delicious sweets for locals, The Nut Shoppe also makes sure to offer specials for visitors. They often premiere new flavors and their gelato on First Fridays. On top of running The Nut Shoppe, the Bells also have a family, to which they’ve recently added a second child. Danae works at Goshen Hospital as a registered nurse in the pediatric unit, so Justin manages day-to-day aspects of keeping the store. They lead a busy life, but they wouldn’t have it any other way. Justin also participates in community service in his free time. 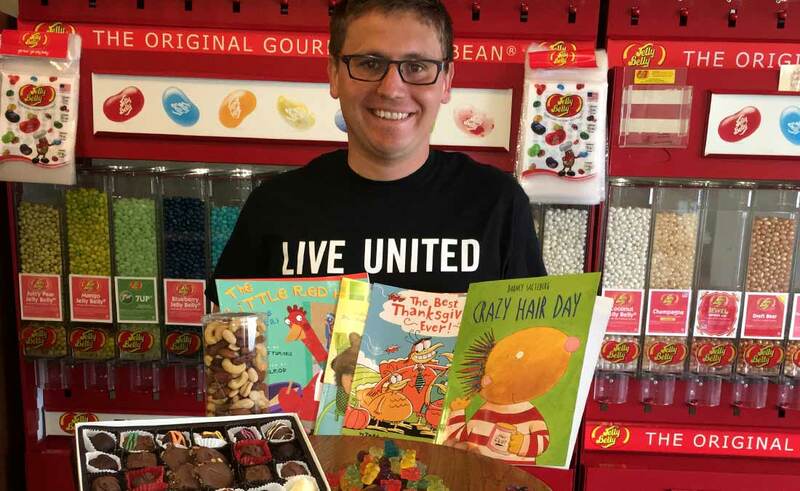 He is a volunteer in the “Real Men Read” program, a program that has men in the community read to elementary students lead by the United Way of Elkhart. Known as the “Candy Man” to these kids, Bell is a favorite for bringing sweets along with him to the readings. Grace Bickel and Elizabeth Rieth, both seniors at Goshen High School, are partnering with the Good of Goshen to write a series of stories about downtown businesses. They are enrolled in a self-led independent study in journalism, and chose to branch out from the high school in order to write about the larger Goshen community. In their words, they wanted to partner with the Good of Goshen because “growing up in such a vibrant community has fostered a love for Goshen.” Both Grace and Elizabeth are leading members of the GHS student newspaper, The Talon.